As the pharmaceutical industry continues to look for new and innovative ways to treat disease, some companies are putting more focus on how to prevent them. Vaccine development, while a long and complex process, has the potential to save millions of lives globally, especially in low-income countries where some of the world’s most at-risk populations exist. 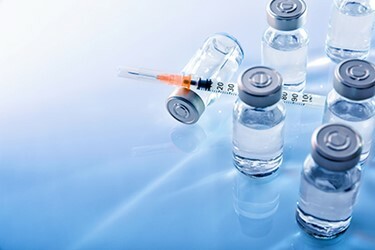 In 2017, Janssen Vaccines & Prevention B.V., one of The Janssen Pharmaceutical Companies of Johnson & Johnson announced promising results for an HIV prophylactic vaccine candidate containing immunogens delivered through a combination of an initial recombinant viral vector priming dose followed by a purified protein booster dose. The prime-boost regimen aims to produce stronger and longer-lasting immunity to HIV.1 As exciting as this prospect is, development of the production process for the purified protein booster presented several challenges to Janssen’s Biotherapeutics Development API-Large Molecule team. Securing a partner that could serve as an extension of the API development team became essential to reducing both risk and the time needed for delivery of the clinical supplies.